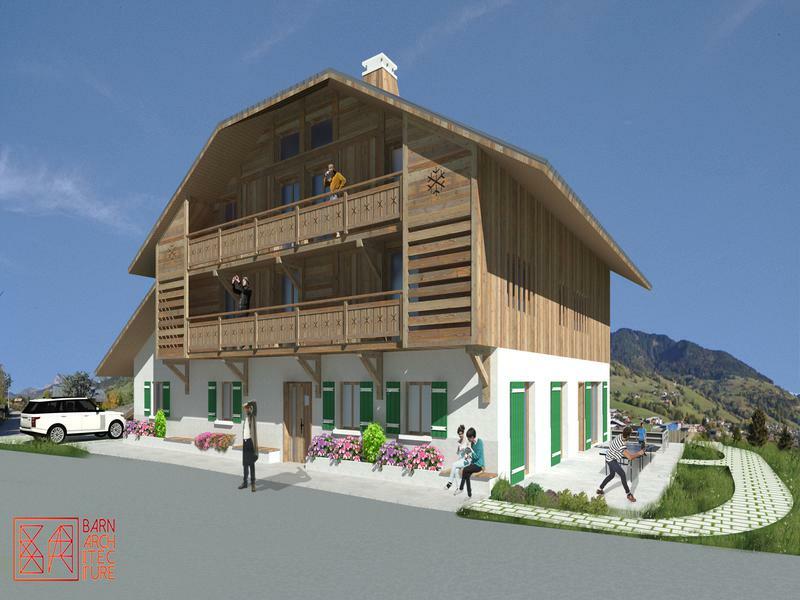 This is a terrific opportunity to purchase your dream ski apartment in a high-quality development that enjoys a quiet location just 750m from the ski lift and close to the vibrant village of Praz-sur-Arly. This comfortable first floor 1-bedroom apartment measures 55m2 with a balcony of 7m2. The apartment benefits from superb craftsmanship with a beautiful open-plan kitchen and living area, with premium fittings throughout. 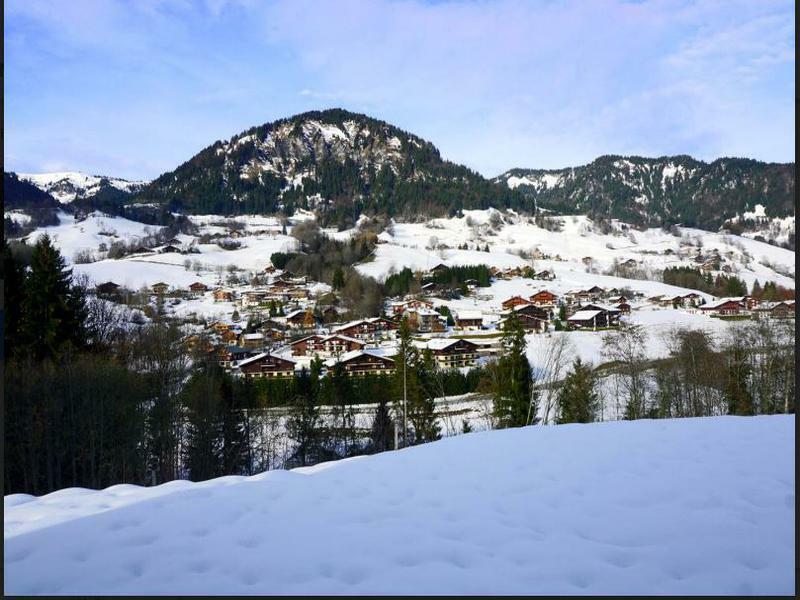 Praz-sur-Arly is a year-round Alpine community surrounded by world class skiing, snowshoeing, hiking, cycling and a wealth of other winter and summer activities. 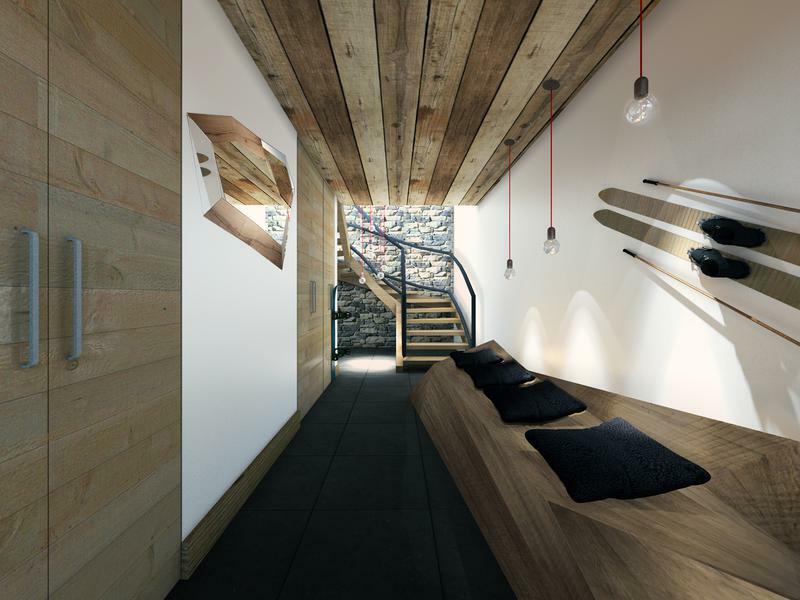 All apartments in the development have private outdoor parking, a ski locker and use of a heated boot rack. 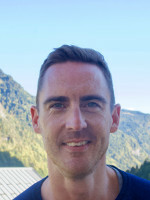 The apartment belongs to the building’s co-propriété agreement with annual charges TBC. 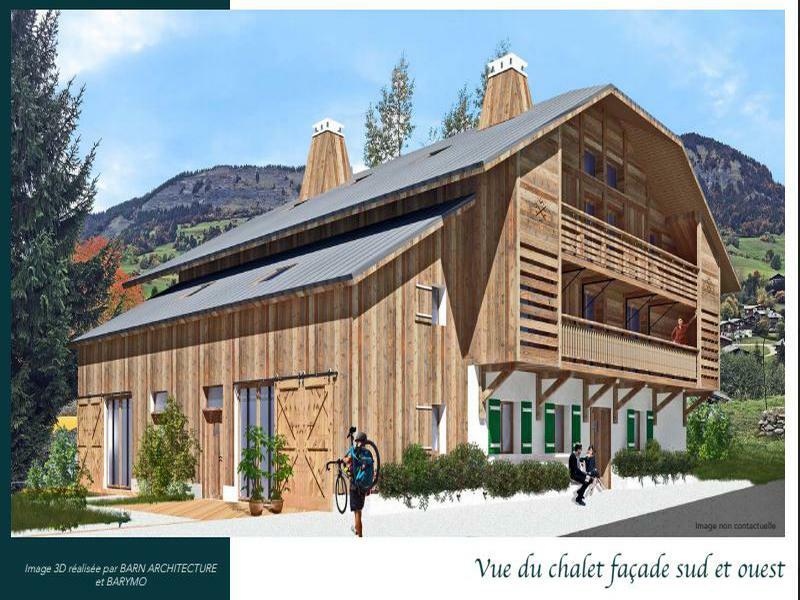 The renovation of this traditional Savoyard farmhouse is scheduled for delivery in Autumn 2019. The development consists of 8 well-appointed apartments that have been carefully constructed using quality materials and fittings and further enhanced by traditional wood and stone. Exposed beams, old wood and modern comfort are combined to create your perfect mountain retreat. Kitchens are fully fitted with Bosch appliances, including induction hob, built-in oven, fridge freezer and dishwasher. Bathrooms have heated towel rails and walk-in showers. Options to personalise your own home such as a central fireplace, alternative finishes for the kitchen, covered parking and professional interior design advice are also available. The chalet is 1km from the centre of the bustling village of Praz-sur-Arly, with a wide selection of restaurants and other amenities, including a large supermarket. 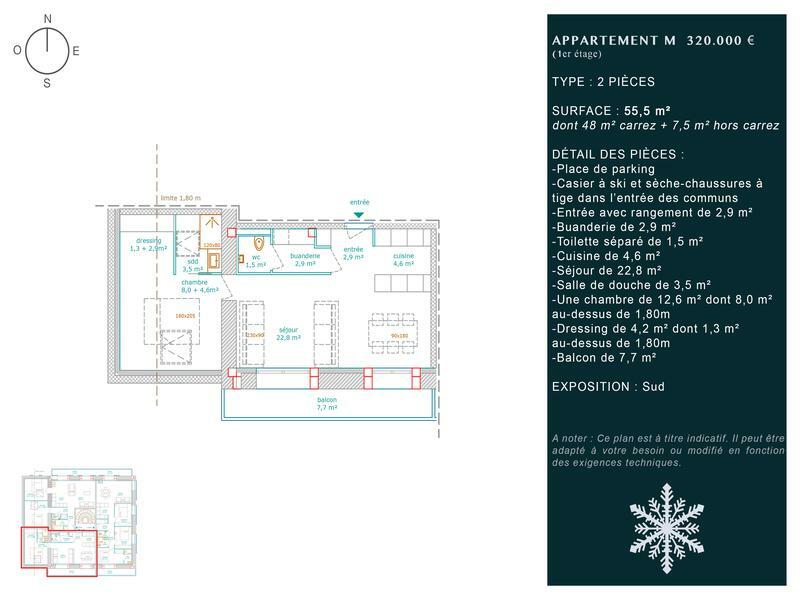 The closest ski lift is just 750m from the apartment, allowing easy access to the Espace Diamant ski area. 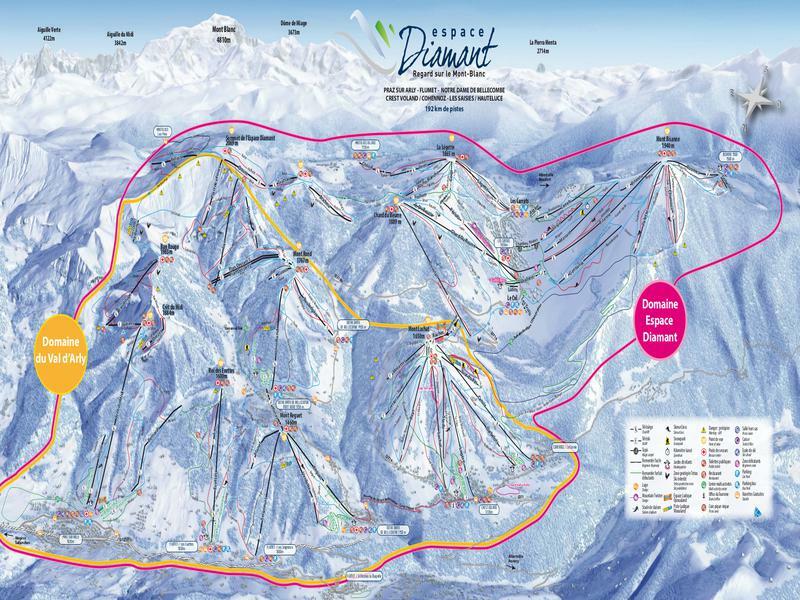 This popular and well-maintained ski domain provides 192km of pistes to suit skiers of all levels, extending from Praz to the villages of Flumet, Notre Dame de Bellecombe, Crest-Voland, Les Saisies and Hauteluce. Snow permitting, it is possible to ski back to the apartment. The spring, summer and autumn seasons offer wonderful possibilities for world-class hiking, cycling and other outdoor activities, and the year-round sense of community makes the Val d’Arly one of the most appealing corners of the Alps for both tourists and residents.